Extracting coal, oil and gas from sensitive habitats, where surrounding communities are thriving from eco-tourism, is ecologically and economically irresponsible. Leave the National Monuments under review intact. Secretary Zinke, I’m writing to object to the National Monument review and continued attacks on our public lands. Our monuments must be kept intact. My wife and I are people who can’t live without wild places in our lives and completely understand the value of National Monuments in the public lands portfolio. This Monument review unnecessarily places a burden on citizens to justify our most extraordinary lands anew, while entertaining the idea of industrializing fragile lands loved by stakeholders and eco-tourists from around the globe. As a conservation photographer focused on the American West, I partner with nonprofits, government agencies, ranchers, and the science community to create visual stories of our complicated west. I understand the charter to manage the lands for all user groups and the inherent problems that arise. But this is different. This review seeks to undermine a 1906 Antiquities Act that has served presidents of both parties well as a vehicle to protect our last wild places and still functioning ecosystems. I’ve read the requirements for National Monument status, including “the smallest area compatible with the proper care and management of the objects to be protected.” It’s easy to see how this can be interpreted a number of ways, depending on one’s view. The smallest area to protect should take into account vulnerable species, acreage and habitat required for the ecosystem to function. In the case of Bears Ears, thousands of Anasazi ruins make up a cultural ecosystem unparalleled on earth. Rock art and Ancestral Pueblo handprints in Bears Ears National Monument. These cultural resources will be at risk once again should Bears Ears lose it’s Monument status. In the past year alone, I’ve visited Hanford Reach, Bears Ears, and Grand Staircase-Escalante, three of the 27 monuments under review. Hanford holds the largest remaining intact sagebrush habitat in eastern Washington. Rattlesnake Mountain is sacred to Native Americans and holds habitat/hope for imperiled Greater Sage-grouse, sagebrush obligate songbirds and pygmy rabbits. 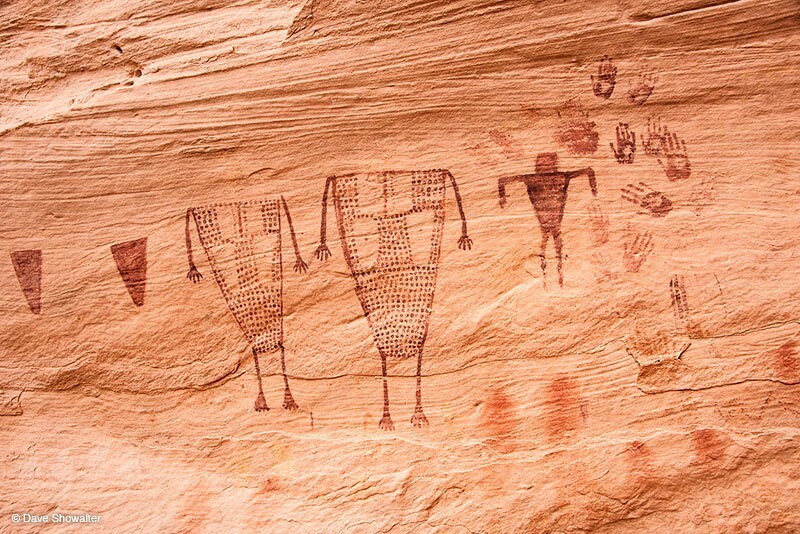 Bears Ears has the most significant record of Ancestral Puebloans, and was created in a collaborative process, with Native Americans integral to that process. Grand Staircase-Escalante is remarkable for all of the things we love about the southwest: the Escalante River gorge, Native American artifacts, slot canyons, the Mormon Hole In The Rock, and habitat for a range of endangered species. The pressure to extract coal, oil and gas in these most sensitive habitats against a backdrop of communities thriving from eco-tourism is ecologically and economically irresponsible. Consider the Kaparowits Plateau that runs from the town of Escalante, Utah to Hole In The Rock at Lake Powell. Utah representatives would like to mine the low-grade coal and run heavy trucks every three minutes, 24–7, on twisty two-lane highway, for 40 years! How will all of those heavy truck trips, billowing coal dust, rollovers, air, noise, and light pollution serve the local community and outdoor recreation long term? 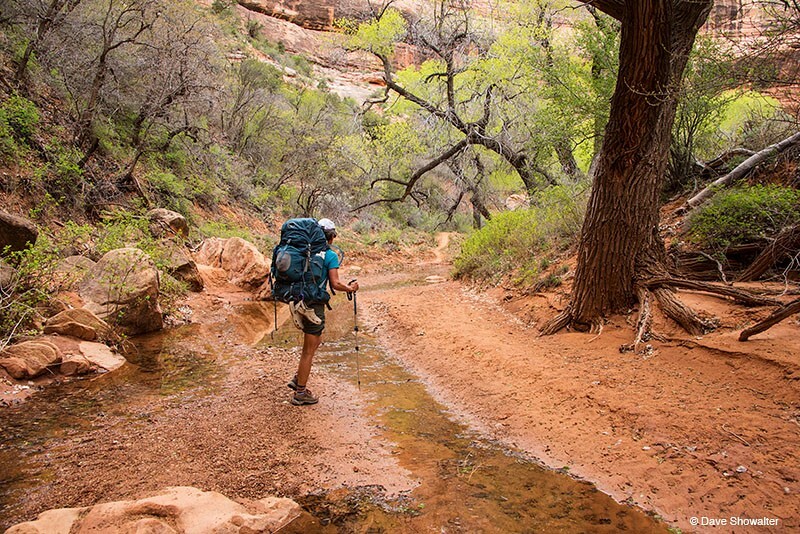 We would be taking a step back in time to weigh industrializing places like Grand Staircase-Escalante against a burgeoning outdoor recreation industry worth $887 billion that employs 7.6 million people, and growing. During the field work for my latest book Sage Spirit: The American West at a Crossroads, I explored mega gas and oil fields. I slept in the Pinedale Anticline and Wamsutter gas fields to experience the endless heavy truck trips in places that never get dark or quiet. I also explored former National Monuments turned National Parks: Black Canyon Of The Gunnison, Grand Teton, Great Sand Dunes. No one is clamoring to develop those national treasures, but the monuments under review are no different. They merely lack a designation making them more special in name only. My travels and work with all stakeholder groups helped me to better understand the critical role of “buffer” lands in an increasingly fragmented American West, while engendering a feeling of oneness for these last enduring, and functioning ecosystems. I’ve read quotes about giving folks in the rural west a voice, taking our lands back, and the like. The simple truth is that these lands belong to all Americans. They are already our public lands. It’s clear that an outdated sagebrush rebellion ideology is driving this undermining of public lands policy — not sound environmental, ecological, and financial reality. You have a hard job managing the west for all stakeholders, but some places are too wild to develop and too extraordinary to industrialize, even around the edges. How many Bears Ears are there? What is sacred today? You can ask these questions for each of these monuments under review and you should reach the same conclusion: too wild, too sacred, too extraordinary. A kiva in Bears Ears National Monument. 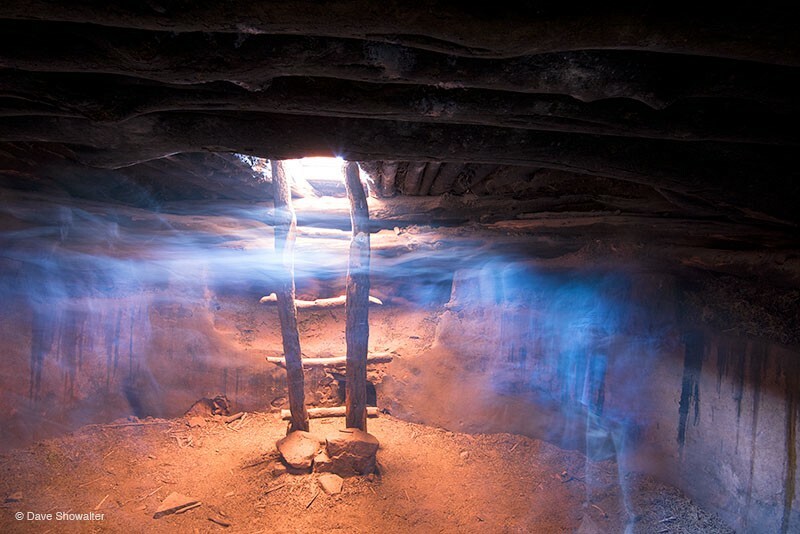 A kiva is a room used by Puebloans for religious rituals and political meetings. My wish is to share these monuments with my grandchildren, to watch the wonder of sacred lands wash over them. My wife, Marla Ofstad, and I implore you — protect our natural heritage and keep our National Monuments intact! Dave Showalter is a resident of Arvada, Colorado, a conservation photographer and the author of Sage Spirit: The American West at a Crossroads. Background: on April 26, President Trump issued an executive order calling for the Interior Department to review a range of National Monuments created over the past 16 years through Presidential proclamations. On May 5, the Interior Department announced a public comment period for that review. Comments on Bears Ears National Monument are due May 26. Comments on the other 26 National Monuments under review are due by July 12. Take action: You can send your own message to Secretary Zinke, online via The Mountaineers website here or by mailing a letter or postcard to: Monument Review, MS-1530, U.S. Department of the Interior, 1849 C Street NW, Washington, DC 20240.